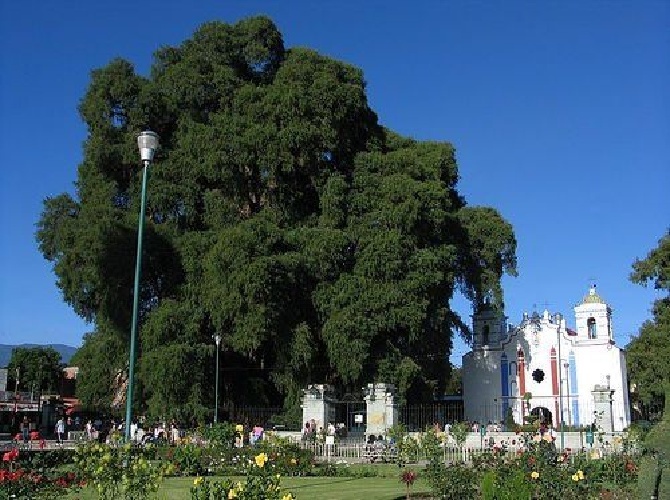 El Árbol del Tule (“The Tule Tree”) is an especially large Montezuma cypress (Taxodium mucronatum) near the city of Oaxaca, Mexico. This tree has the largest trunk girth at 190 feet (58 m) and trunk diameter at 37 feet (11.3 m). 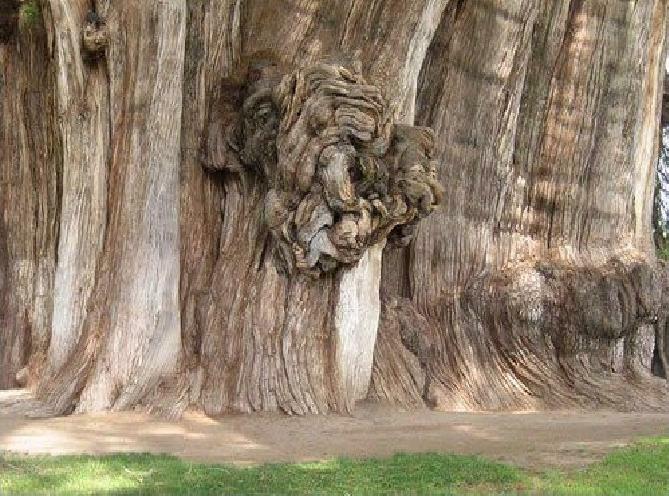 The Tule tree is so thick that people say you don’t hug this tree, it hugs you instead! 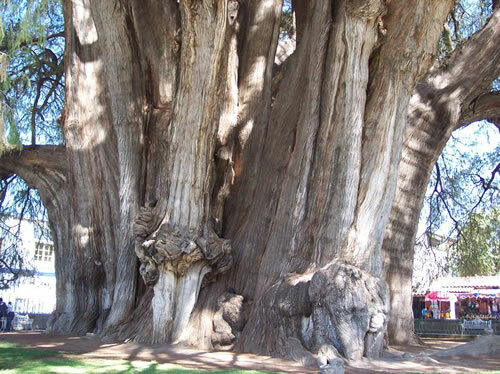 For a while, detractors argued that it was actually three trees masquerading as one – however, careful DNA analysis confirmed that it is indeed one magnificent tree. In 1994, the tree (and Mexican pride) were in jeopardy: the leaves were sickly yellow and there were dead branches everywhere- the tree appeared to be dying. When tree “doctors” were called in, they diagnosed the problem as dying of thirst. The prescription? Give it water. Sure enough, the tree soon recovered after a careful watering program was followed. What a magnificent trunk, I could spend an hour or two photgraphing various aspects of that trunk.. I’m glad that it has been saved but it must have taken an awful lot of watering, not something you can take your average watering can to. Lots of watering, I’m sure. Thank you for your comments. I first saw the tree in 1997. At that time there were huge hoses all around the base, some going directly into the ground. The tree’s natural habitat is wet, not arid, but in the 1500 to 2000 years since it was a sapling, the climate has changed. Awesome, indeed! 🙂 Hadn’t seen this one before.